From the time the golf course opened in 2008, it has been an instant classic. 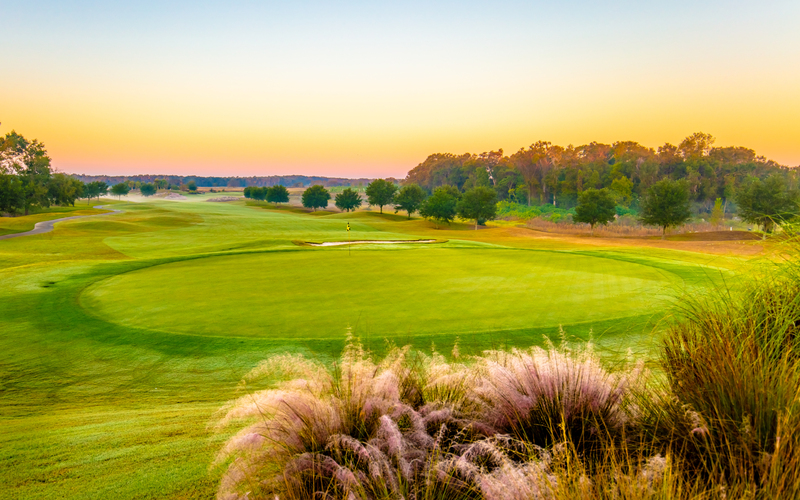 Ocala, in Central Florida, is a great destination for all golfers – and Stone Creek Golf Club is no exception. Stone Creek Golf Club offers a delightful golfing experience for all skill levels. The 18-hole Terry-Doss designed championship golf course showcases panoramic vistas of all areas of the course, including the stunning lakes integrated throughout. Laid out over 187 acres of Ocala’s lush green countryside and rolling hills, the course totals 7,221 yards and includes more than four acres of large undulating Champions Bermuda greens, guarded by precise bunkering at greenside. Champions Bermuda greens will provide the best putting surface you will find in the Southeast. Stone Creek has 419 Bermuda fairways, plus more than four acres of tee boxes, six to seven on most holes to enhance any golfer’s experience. The course is truly unparalleled, with strategically placed water on 11 of the 18 holes. As a beginner or an expert, you’ll find a challenge to fit your needs. Throughout the course, you will discover tunnels that pass underneath all major community roads for safe passage of golf carts and pedestrians. The Stone Creek Golf Club also offers a driving range, practice putting green, practice chipping green, and a large golf shop. Stone Creek allows public players to book tee times 14 days in advance, by calling the Golf Shop. Stone Creek provides daily booking of Tee Times as well as Golf Tournaments and or Outings. Also Large and Small groups can make arrangements for weekly, monthly, and/or bi-monthly play. Stone Creek can be the host for your Charity Event or your Corporate Outing. Stone Creek Golf Shop offers a Range Program for anyone wanting to work on his or her game and take advantage of the practice facilities.